The Lincoln Midwest Ballet Company presented Snow White as our 2017 Spring production. In this classic fairy tale, the beautiful Snow White, while fleeing from the evil vain Queen, meets the jovial seven dwarfs who take her into their home. When the vain Queen poisons Snow White with her enchanted apple, only the kiss from a noble prince can save her. The cast of Snow White was made up of talented, young, local dancers who were selected by audition. East High School senior, Olivia Etherton, danced as Snow White and East High School junior, McKaylee True, danced as the Evil Queen. 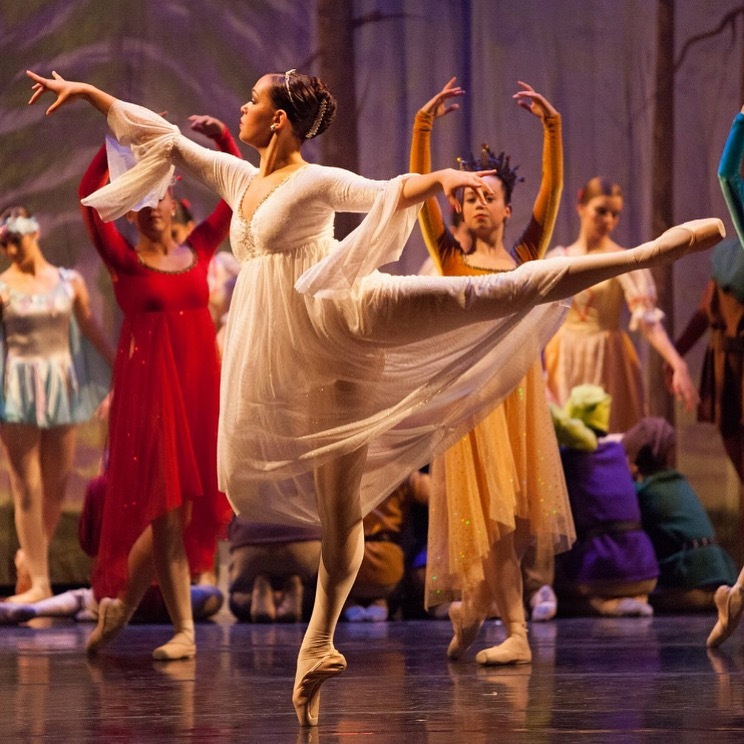 The Artistic Director of the Lincoln Midwest Ballet Company’s Snow White production is Shari True.